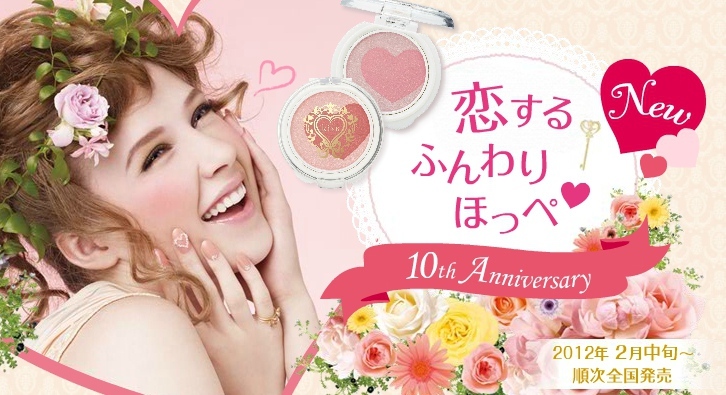 I'm using Valentine's day as an excuse to blog about heart-shaped or heart patterned makeup. Let's take a look at some of the most beautiful. 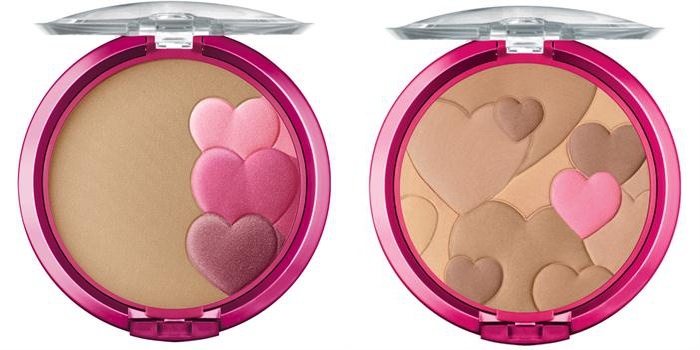 Shiseido Integrate have not just one, but two collections of heart eyeshadow palettes: Pure Big Eyes and Rainbow Grade Eyes. Pure Big Eyes have four little hearts full of shadows. Rainbow Grade Eyes look gorgeous and sparkly as well. Luckily, you can see swatches of all of these over at Palm Girl Shop here. 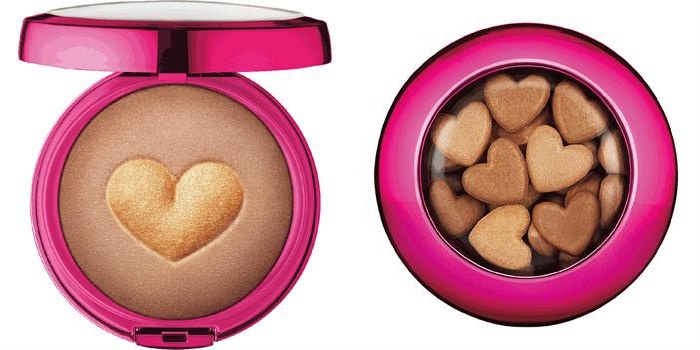 Physicians Formula Happy Booster has a tonne of heart products: blush, bronzer, and lipstick. 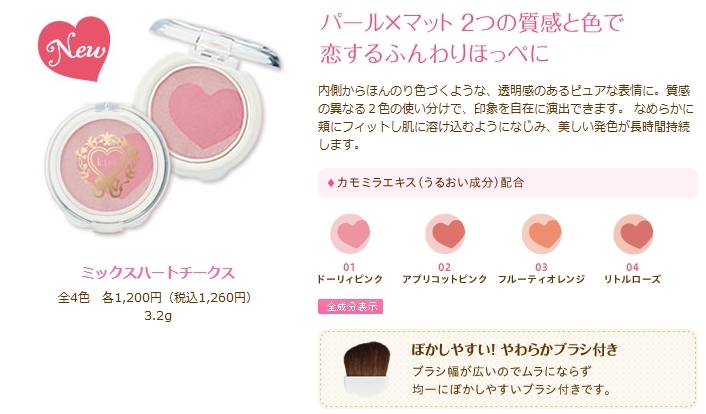 Blushes available from Kiss Cosmetics. How cute are these? For more on these check out my earlier blog posts here. 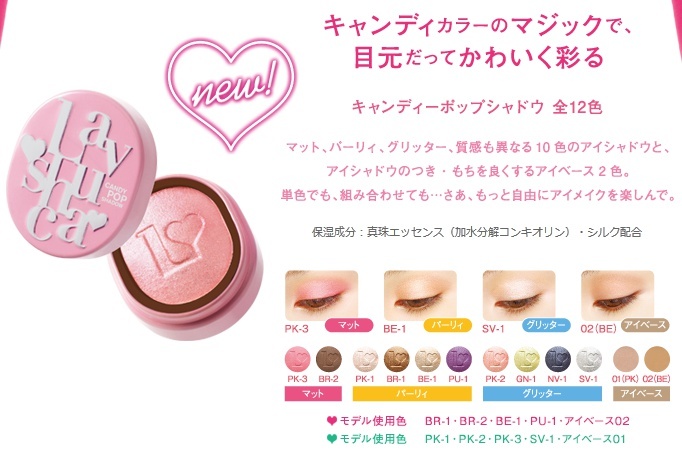 Lavschuca have also just released some eyeshadow singles with lovely little heart impressions on the shadow! 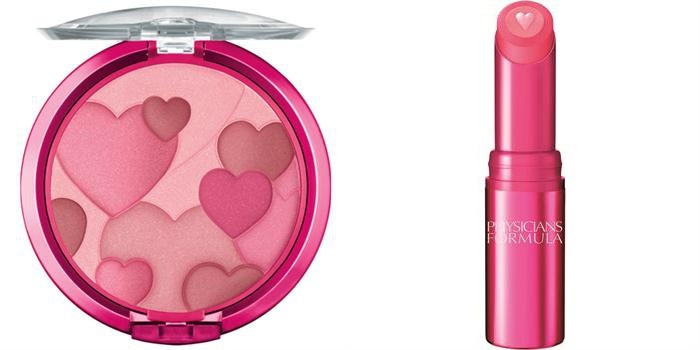 Well, those were the cutest heart-shaped makeup products I could find. What do you think? Will you be treating yourself or someone special to some beauty products this Valentine's Day or is the whole holiday not really your thing? Personally, I've never really been big on V-day. I like chocolate, and roses, don't get me wrong. 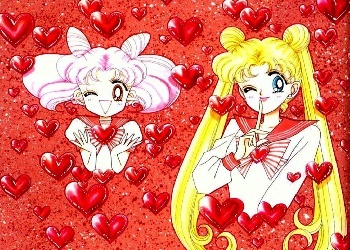 And I love hearts and pink and red and all, but I just find it weird to have a day of forced romanticism. Romantic gestures are romantic because they are unexpected. If you have to wait for V-day to be romantic, well that's just lame. For me, it's just another day. But that's just me! Either way, hope you all have a great one!